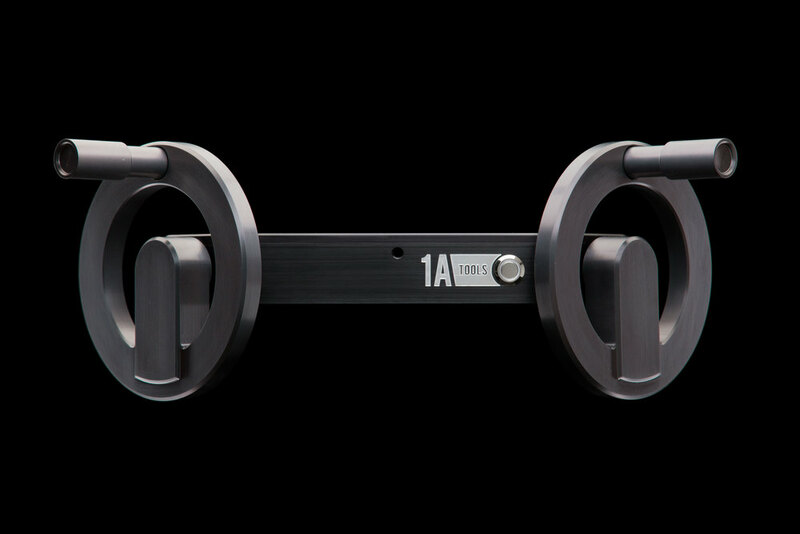 The Alpha Wheels take hand wheels to new levels for Movi users, pre-vis, and more. LOS ANGELES - JULY 6, 2016 - 1A Tools announces the release of a game-changing new set of handwheels, the Alpha Wheels. Not only are the Alpha Wheels among the most affordable in the industry, they also push the boundaries of versatility. 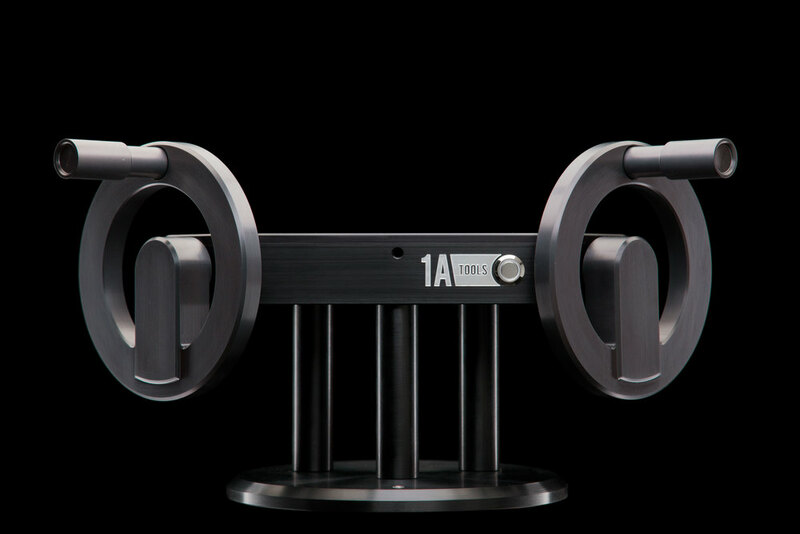 Designed from the ground up for the modern cinematographer, the Alpha Wheels go beyond just controlling gimbals like the Movi and Ronin, they work with pre-vis software Cine Designer to control virtual sets. “As working DP’s, when we conceived of the Alpha Wheels, we didn’t stop at gimbals and remote heads. We thought of all the platforms we want to use wheels for, and we imagined a set of wheels with an open, flexible design that we could use on every job, no matter the type or budget.” says Boyd Hobbs, co-owner of 1A Tools and product manager of the Alpha Wheels. For Movi users, the Alpha Wheels are also the first set to work directly with the Movi Controller. Now, with one single cable delivering data and power, the Alpha Wheels can interface with the Movi Controller to supplement the joystick. Users can swap between joystick, mimic, and wheels in seconds—no tools or rebinding required. The wheels also work with the Spektrum controller, so the wheels can stay with cinematographers as they and their equipment evolve. In an incredible partnership between 1A Tools and Cine Designer, the Alpha Wheels are the first publicly available handwheels to work in pre-visualization software. As virtual cinematography expands rapidly, cinematographers need tools to help them push the boundaries. With the Alpha Wheels, cinematographers can bring a familiar tactile tool into the virtual world. The Alpha Wheels API used to integrate with Cine Designer, will also be shared publicly. This will allow any remote head, gimbal, or software designer to integrate the Alpha Wheels into their ecosystem. Communication protocols will include: Serial via USB, Serial via Lemo, CAN BUS, Raw Encoder Data, and stepper motor compatible Step and Direction signal. 1A Tools will publish an open API on their website for each protocol as they be available. “We hope that by opening up wheels as a platform, users will dream of new, never-before-seen uses for handwheels not easily possible until now,” says Connor O’Brien, co-owner of 1A Tools. The handwheels on the Alpha Wheels come in two varieties - aluminum and brass. The entry-level aluminum wheels are balanced for precise operating and anodized dark grey, and users can upgrade to brass whenever they want. Seasoned operators will love the balance and inertia brass gives to their operating style. Designed, machined, and assembled in America, the Alpha Wheels were made without cutting corners. All machined parts, connectors, and bolts are aluminum, brass, or stainless steel. All connectors are genuine Lemo brand ports. The housing was machined from a solid block of 6061 aluminum. Each handwheel is balanced and tuned before shipment for optimal feel. Internally, the wheels use high-resolution capacitive encoders to digitize the inputs before outputting in a variety of formats. Founded in 2015 by cinematographers Boyd Hobbs and Connor O’Brien, One Alpha Tools—1A for short—is a new brand of film production equipment. Designed from the ground up, 1A Tools products are meant to solve problems and last a lifetime.